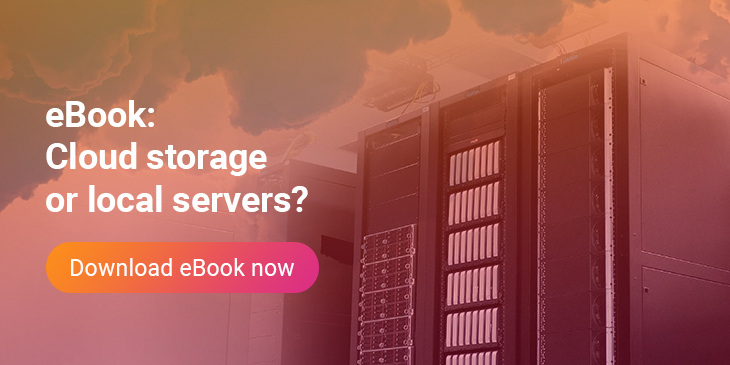 Here’s the question we’ve all asked ourselves: should my company be using server or cloud? We’ve created a brief guide to help you see your options. 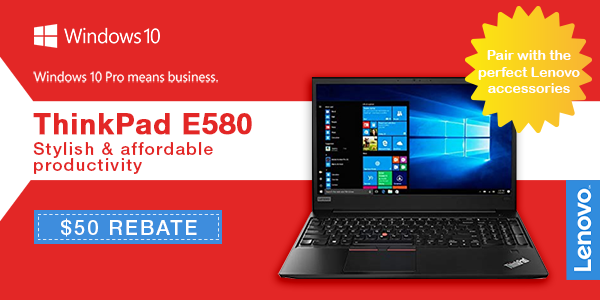 The thin and light ThinkPad E580 was built for the road warrior. Up to 13 hours of battery life will leave you stress free, so you can stay one step ahead, no matter where the job takes you. 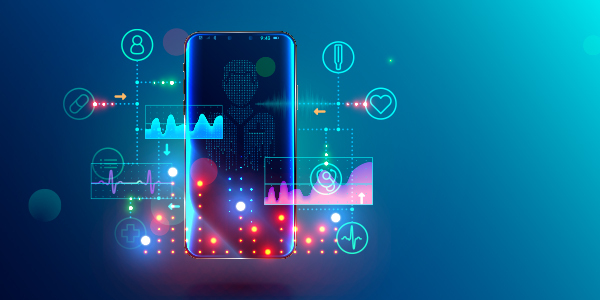 After the WannaCry ransomware attack cost the healthcare system £92 million, the NHS is turning to Windows 10 for Advanced Threat Protection. 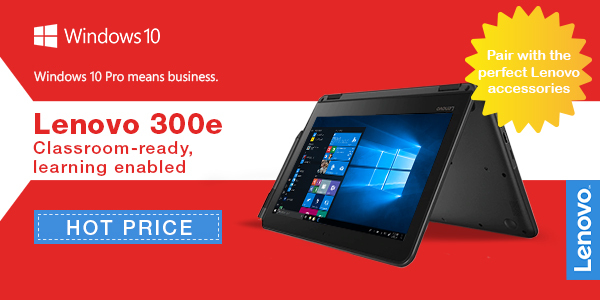 Engineered for the classroom, the Lenovo 300e convertible laptop is a versatile learning tool. Multiple use modes and pen support let students adapt to any learning environment. Its rugged build means it can withstand the rigors of the school day. 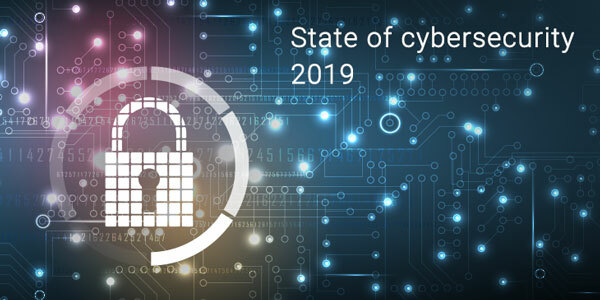 You know your data isn’t safe – but do you know why, or how best to protect it? McAfee’s latest report has the insights you need to protect your business. 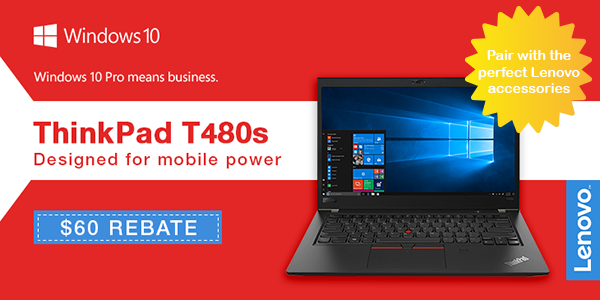 Light, thin, and built to perform anywhere, the ThinkPad T480s delivers what you need, when you need it.